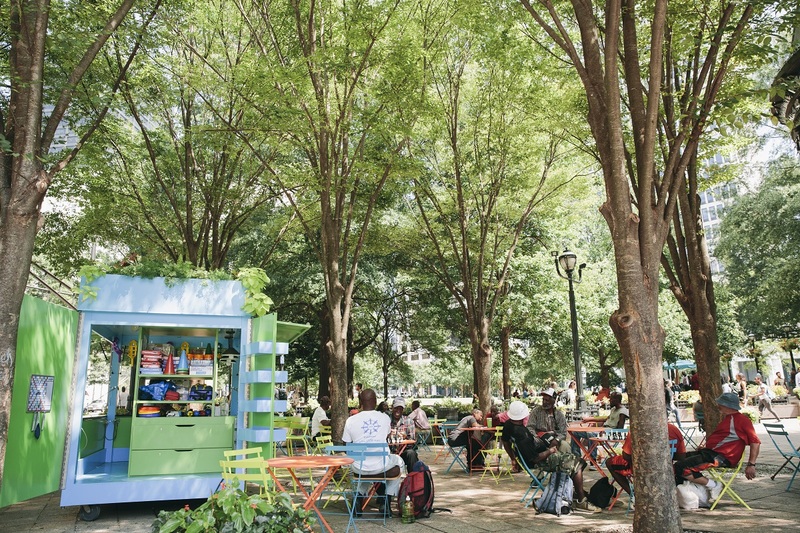 With guidance from Project for Public Spaces throughout the placemaking process, CAP engaged park stakeholders—from Downtown residents, students and office workers to neighboring businesses and the local government—to build consensus for improvement priorities. Together, stakeholders reached the conclusion that the southwest end of the park stood to benefit from a reimagining. In 2018, the Southwest Airlines Heart of the Community grant was made available to previous recipients between 2013 – 2016 to support the ongoing evolution and sustainability of their public spaces. Through the Southwest Airlines Foundation, an advised fund of Silicon Valley Community Foundation, each grantee received $100,000 in initial project funding, as well as an opportunity for a $25,000 dollar-for-dollar fundraising match. 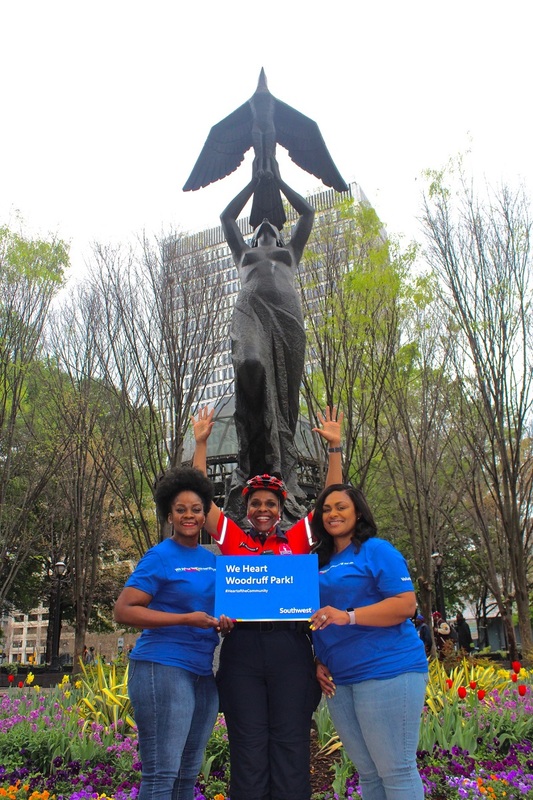 Woodruff Park was awarded an additional grant to support its efforts to engage and attract a new, more targeted audience to Woodruff Park, as well as better meet the needs of current users from underserved communities. 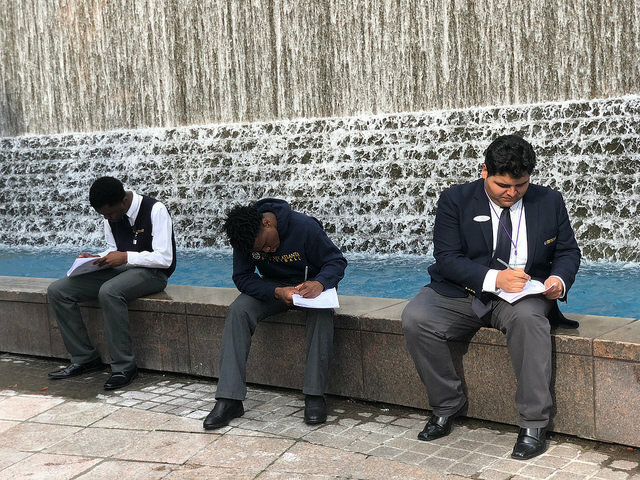 In order to attract younger park users, ADID partnered with Spark Corps, a local design firm focused on social impact, to engage students from Cristo Rey High School, The New School, and Georgia State University in co-design activities. The student-driven arts project will make its debut in the park in 2019. Additionally, ADID was able to partner with Hope Atlanta to fund a social worker position. This professional connects park visitors in need to social services and has successfully placed over 40 individuals into permanent housing.